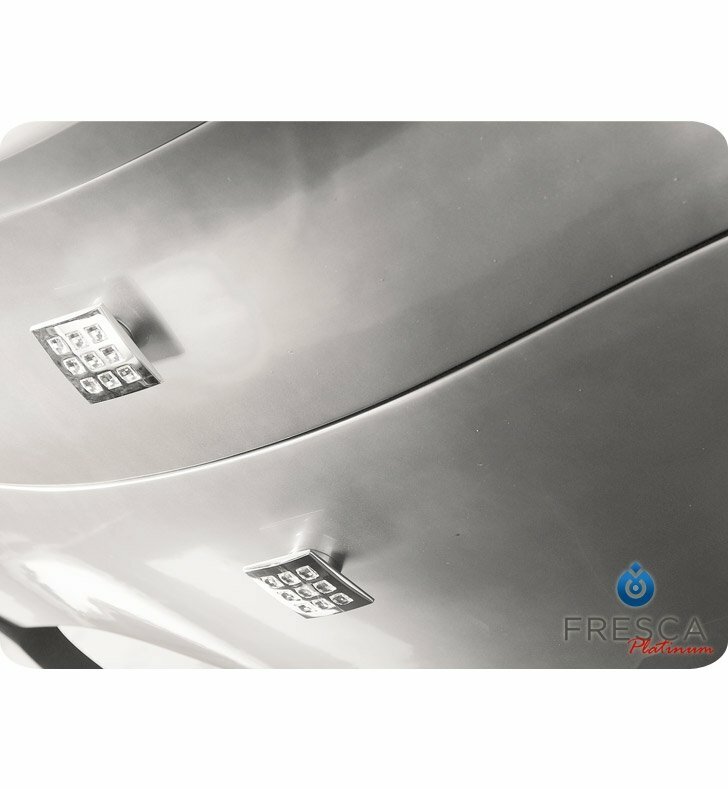 Questions about Fresca Platinum FPVN7516SL-BL? Somewhere in between 21st century minimalism and 19th century decadence lies the visually arresting Paris silver/black vanity. At first glance, you'll be taken in by the contemporary influences of its solid wood body enhanced by lacquered black and silver gloss, which produce an air of modern elegance. 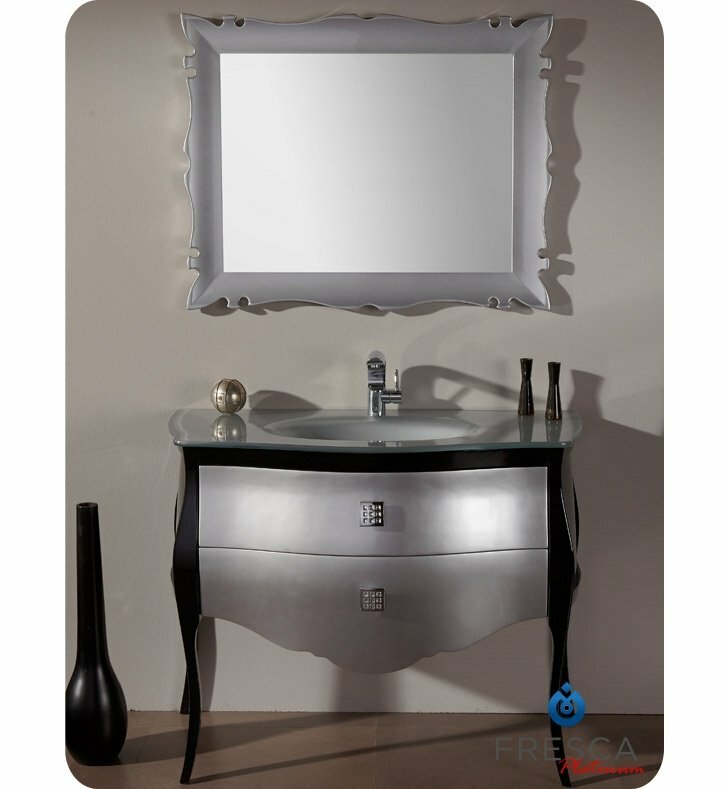 However, further investigation will reveal the distinctly Old World French aesthetic houses in the Paris silver/black vanity's curving shape and Versailles-style overheard mirror. 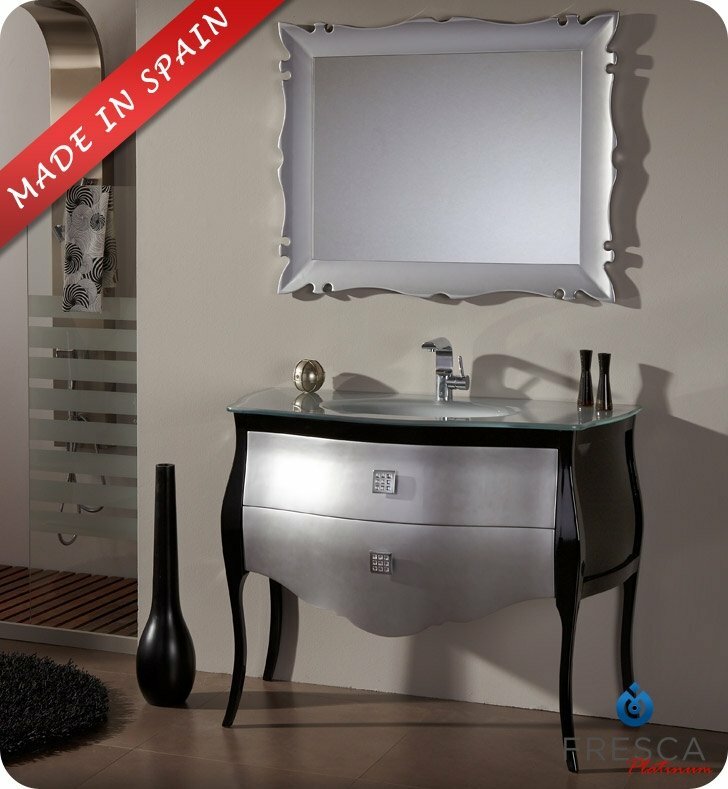 Much of this furnishing's aesthetic superiority comes from its reliance on high quality construction and materials. For instance, the body's countertop is built from optical glass that is as durable as it is beautiful. Similarly, you can rely on the proven strength and performance of handles made from zamac with Swarovski crystals. 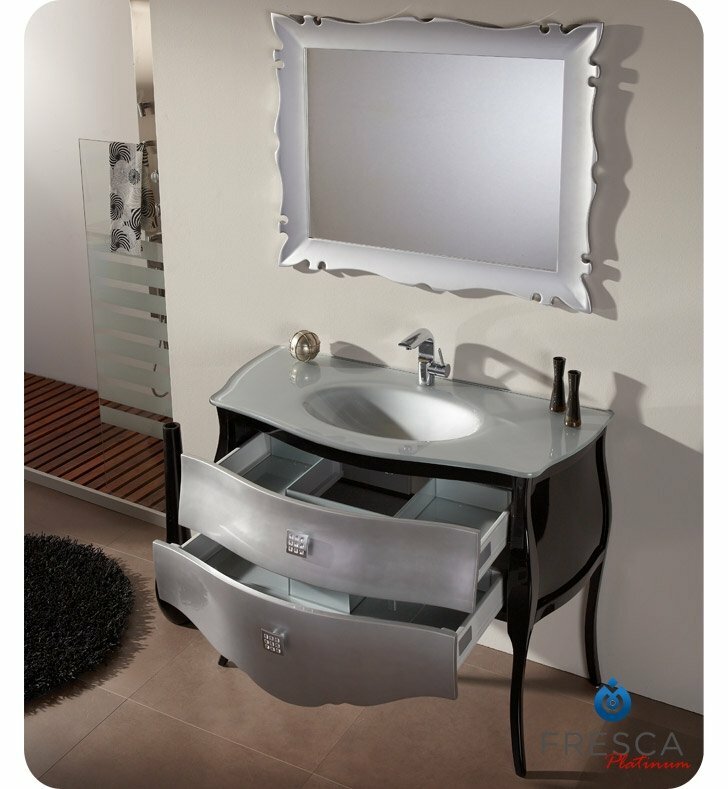 The Paris silver/black vanity also offers slow-closing sides. With form and function in equal parts, the Paris silver/black vanity is sure to be a welcome accent in your home's bathroom. Chrome plated handles made with Zamac and Swarovski crystals. 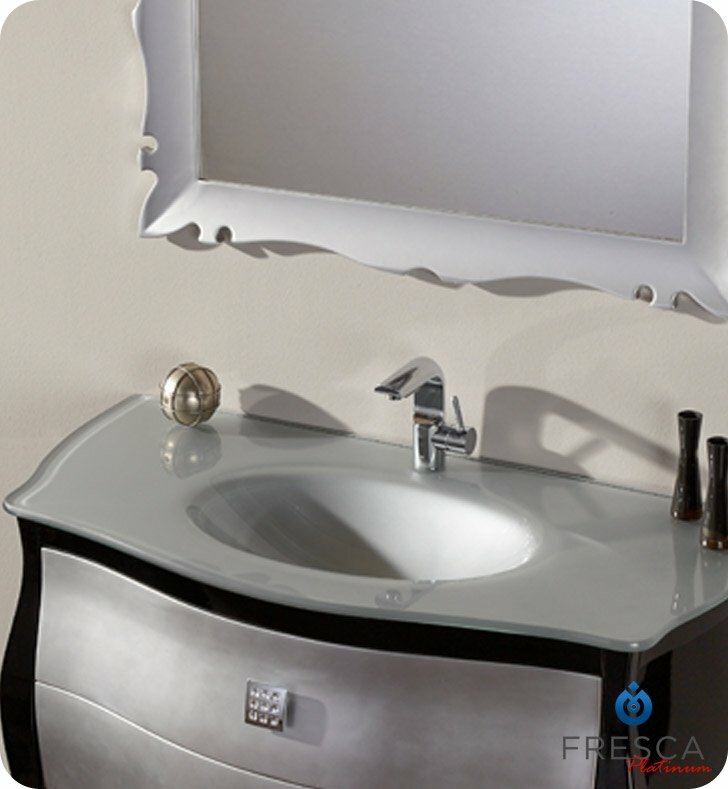 Fresca Platinum solid cast faucet included with vanity. 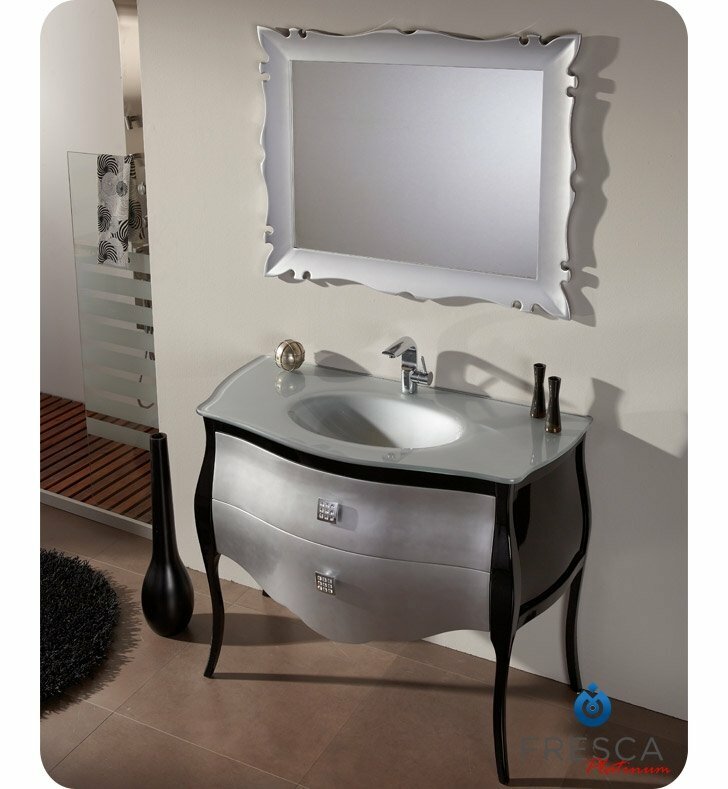 Vanity: W 44 3/8" x D 21 1/4" x H 35 1/2"
Mirror: H 31 1/2" x W 43 3/8"